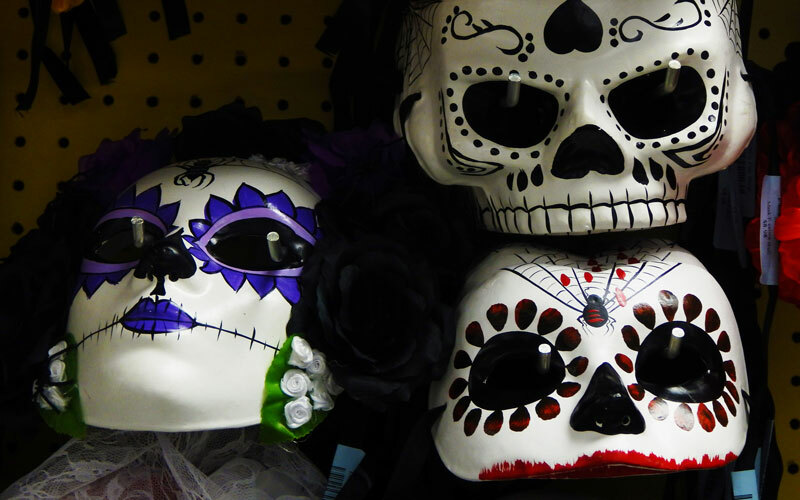 Skeleton masks can also be found on the shelves of Halloween shops. Americans are expected to spend $2.5 billion alone on Halloween costumes for adults, children and their pets this year, according to the National Retail Federation. 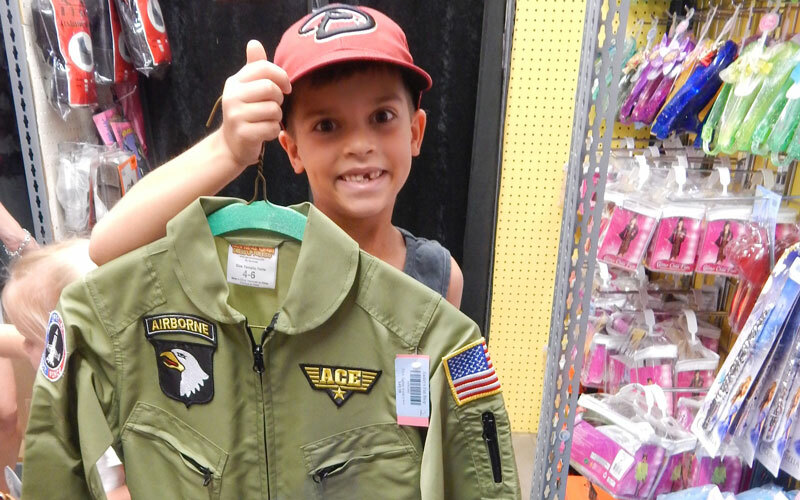 And although analysts expect Halloween spending to drop 3 percent this year, that hasn’t stopped customer demand for costumes at Easley’s Fun Shop in central Phoenix. One employee said demand at their shop has increased for the past seven years. Bert Easley, a former vaudeville magician, founded the store in 1947. It’s evolved from a magic shop into a 15,000-square-foot store specializing in theatrical makeup, costume sales and rentals, hats, wigs and accessories. 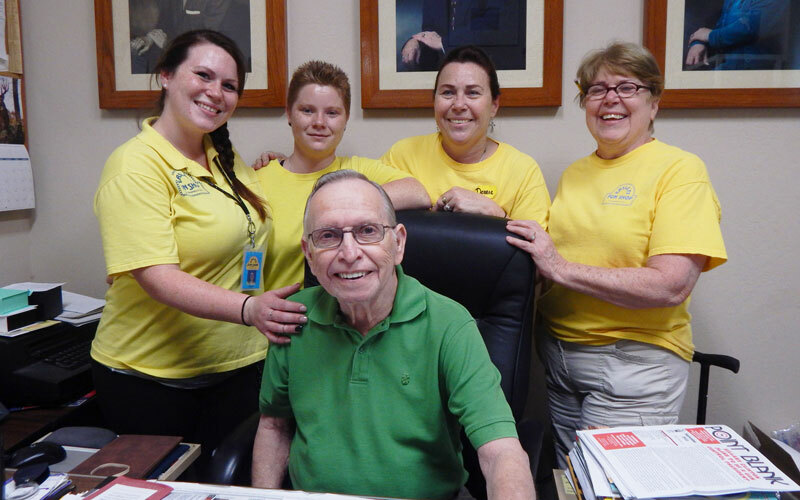 After Bert passed away, his son Herb took over ownership of the store and now operates it along with his wife, Carol, and daughter, Debbie. Easley’s Fun Shop stays busy each Halloween season, said Samantha Trosclair, an employee and an Easley family member. 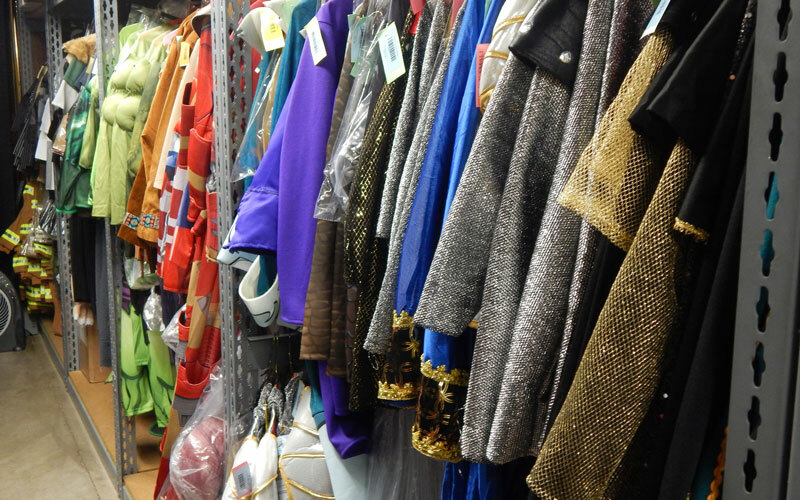 The store stocks about 5,000 costumes for rent and by September, it has about 10,000 costumes in stock for Halloween sales. 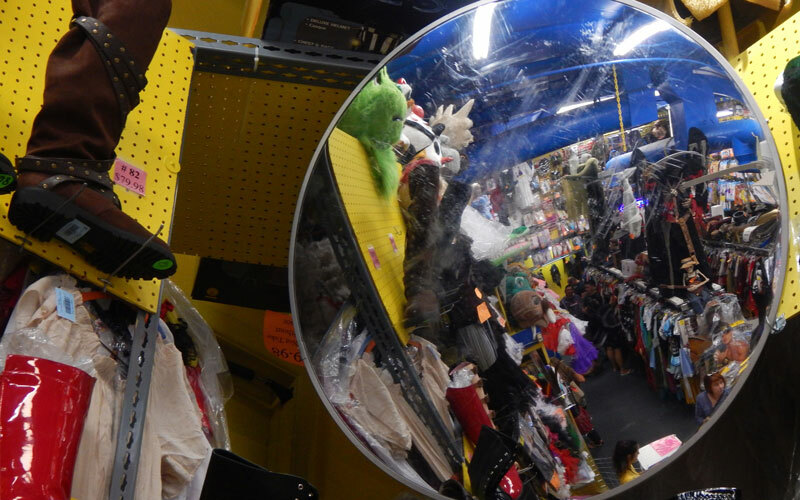 Customers searching for costumes call or visit the store as early as August, but business typically increases the first two weeks in October, Trosclair said. “The last week (of October) we’ll be shoulder-to-shoulder packed, but every day it gets a little bit more,” she said. Halloween is an all-year preparation process for the store that starts as early as January, Trosclair said. 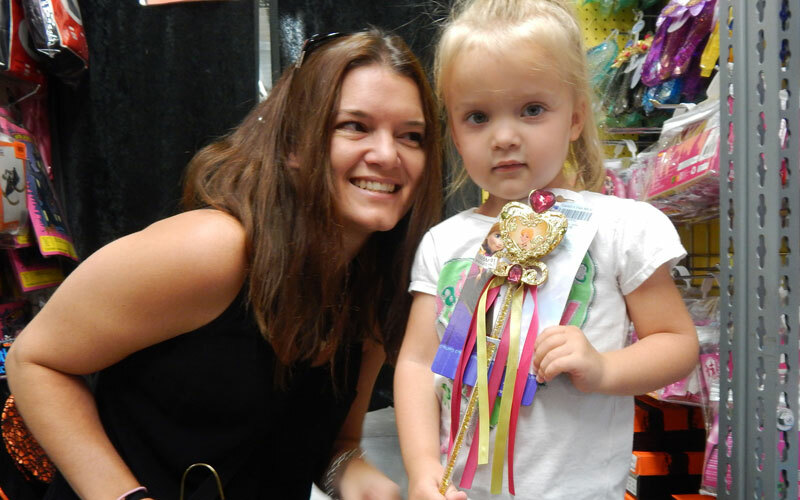 The family travels to trade shows in Las Vegas and New Orleans – also attended by retailers Party City and Wal-Mart – in search of costumes. Superhero, Ninja Turtles and Jurassic World costumes are in demand this year, Trosclair said. Witch, animal and Batman character costumes are the most popular among adults, according to the National Retail Federation’s data. Pet owners are estimated to spend $350 million on pet costumes and an estimated 20 million people will dress their pet up for Halloween. Phoenix resident Daniel Pauley spends about $500 to $600 each year on costumes for various events – including Halloween – for himself, his family and dog, Toaster. “(Toaster) is a major part of our life,” he said. Another Halloween retailer, Spirit Halloween, a pop-up costume store that typically opens in vacant strip malls will operate 41 Arizona stores this year, spokeswoman Trisha Lombardo said via email. “Some Spirit Halloween stores begin opening mid-August and continue to open throughout the month of September, Lombardo said. Because the company is privately held, Spirit declined to comment on specific costume trends and sales, but Lombardo did say they have a dedicated team working year round to find top costumes for each Halloween season. In addition to costumes, analysts estimate Halloween shoppers will spend $2.1 billion on candy and $1.9 billion on decorations. In all, about 157 million Americans will spend an estimated $6.9 billion – with an average of $74.34 per person – on costumes, candy and decorations, according to the National Retail Federation.